As you battle to take your business to the next level and strive to make the voice of your brand audible above the din of the already crowded digital marketplace, one of the things that would speed up your climb to the top, is using a Facebook business page in a way that supports your business. With an estimated 2.2 billion users who log on every month, and an estimate of 1.45 billion who log in every day, worldwide, you have access to a huge amount of users. Facebook marketing will expand your business and brand. But because of some of the changes made in FB’s algorithm, it has become more difficult for brands to reach their followers. “It used to be that brand followers had higher engagement and were much more likely to purchase brand products—and by virtue of that involvement, influenced others who saw their engagement with the brand. While that still may be true to some extent, the changes made to Facebook ’s algorithm in 2017 and 2018 have made it difficult for brand content to even be seen by followers. I mean really difficult. Here are the numbers we’re talking about: Only 1% of users who like a Facebook Business Page will visit your page again later. ONE PERCENT. Does this mean that FB no longer benefits businesses? Quite the opposite. Your business can take advantage of this and use it as a leverage to get more ardent followers who will be your brand’s advocates. Here are some tips to help you get more out of your FB page and provide your customers with good user experience. Hopefully all the strategies we show you will help you achieve your business goals. Whatever they may be. The first step is so obvious, it’s painful. Even though is obvious, it doesn’t make it a straight-forward process either. There is more to creating an effective Facebook page than meets the eye. Some things you would have to get right include: Choosing the right name for your brand, writing a memorable about page and choosing what color scheme you would like to use for your brand so that your brand will have a unified look. In choosing a name, you want to choose one that’s easy to remember and one that clearly portrays your brand and everything it stands for. Compare these two brand names: @Wearepassionatepeoplewholiketowrkhard and @we.work. The former- while exaggerated- is unbelievably exhausting. While the latter is much shorter and memorable. In case you don’t have a brand name, these are some of the things you should aim for when choosing a name for your FB page. Facebook marketing for business owners depends greatly on your brand image. If you have chosen a name for your brand, it is much better to stick with your brand name to make sure you are easily found online. In addition, your about page is another chance you have to captivate a potential audience. Just like your brand name, this too should be succinct and memorable. Most consumers find it easier to trust real human beings rather than a description that sounds like it came from a robot. Consumers love brands that they can connect with on an emotional level. Trying to sound too ‘professional’ on your ‘About Us’ page results in stiff copy– the perfect way to ensure your company stays invisible. Your Facebook business page (about section) should be brief, to the point and humane. Choosing a color scheme is not so important, but it does play a part in making your brand easy to recognize. Take ‘Social Banana’ for example. Their color scheme comprises of two colors: black and yellow. They use these colors in their profile picture, cover page, their service buttons and generously apply them to designs all over their page. This gives their brand a unified look and makes them look trustworthy since there are no discrepancies in their choice of colors. This is a good tactic to adopt. 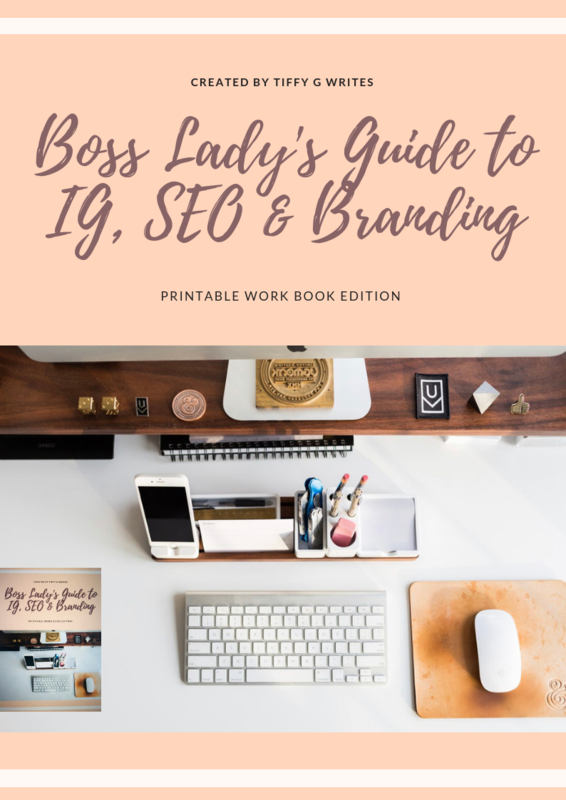 After the excitement of creating your page has ceased, take a moment to consider the things that are important for the growth of your business and things that are important to your brand. Set your business goals if you don’t yet have any. Making these choices in the initial stages will help you make other choices that affect your brand. It will also help you streamline all your processes. Campaign Creators’ Director of Marketing, Tammy Duggan-Herd, shares his thoughts on setting business goals. “So, what I often see businesses doing wrong when it comes to social media is that they’re not focused on how social media affects business objectives. They need a strategy in place and it starts with business objectives. Things like shares, comments, likes these vanity metrics may make you feel warm and fuzzy inside, but at the end of the day, it’s really about business objectives. How is social media achieving there? Start with your business objectives. Then, identify your target market. You should know this, but you need to figure out where your target market lives on social and then you determine those channels so that everything is tying back to those business objectives. If you’re just going towards social media objectives like increasing likes or followers, you’re probably not going to see, like I said, any effect on your bottom line. So, start there. The success of your Facebook marketing tactics is closely tied with setting goals, and figuring out your buyer persona. What are buyer personas? Simply put, they are specific attributes about your target client or your ideal consumer. Personas are created through research and taking a closer look at those people already buying from you. Your buyer persona can help you figure out the mindset of your potential customers. Figuring out who your potential customers are, also helps you create the right content for them. After setting your business goals and identifying your buyer personas, the next logical step is to decide on the content strategy you will use to engage your audience. While your strategy will be defined by the goals you have set for your business, there are still some general tips that can help you come up with a strategy that is suited for your business. Some of the types of content available to post on Facebook include Images and video. Also available, is Facebook Instant Articles. This feature allows publishers to post text and photo-based content in a format that loads faster on mobile without users having to leave the Facebook app. You know you’ve found an Instant Article if there’s a small gray thunderbolt below the title of the post. Lastly, there’s virtual reality which can be used for Facebook marketing. At least for the moment, Facebook’s main virtual reality offering is 360-degree video. This allows publishers to share experiences with their fans in a very real way. The 360-degree video experience works best on mobile since viewers are able to tilt and turn their phones to reveal video content all around them. On a desktop, users can click and drag. Also if you want to tell a story, video is a great option mostly because Facebook auto-plays videos, the first 5-10 seconds are the ones that will help you capture the attention of your audience. Speaking of video, Facebook live is another great feature that allows users to stream live videos from their smartphones. This is awesome for businesses owners, marketing coordinators or brands who want to capture the culture of their company or form genuine relationships with their audience or customers. While Facebook updated its news feed algorithm to prioritize content from friends and family over that from brands (causing the reach of the latter to drop), images still get the most reach these days, not video. So, mix up your content, so that you have a healthy mix that resonates with your customers and also aligns with your business ­plans. Engaging with your customers and prospects is an important part of building a trustworthy brand image. When your customers are satisfied, they become your best form of Facebook marketing. because people tend to trust the recommendation of other people. You can engage with your audience and build a community on both Facebook groups and Facebook pages. So, what are the differences between a Facebook page and a Facebook group? * Built-in analytics with Facebook Insights. *A call-to-action button (for example, sign up, book now, learn more). *The ability to boost your Facebook page and page posts with Facebook ads. *The ability to add apps and services to your Facebook page so that your fans can easily order a product, make a booking, get a quote, and more. * Built-in analytics called group Insights. * The ability to set your Facebook group as private (closed or secret). * The ability to post documents, create polls, and even buy and sell in your Facebook group. * The ability for members to receive notifications about new posts to the group. Cara is certainly correct on this. I am a social media manager myself and I’m on quite a few groups, and I can testify to the incredible amount of support and a sense of belonging I experience with people on these groups. The best part about groups is that they’re an easy way to reach an audience that might be bigger than that on your Page. For example, the online magazine The Cook’s Cook was looking for a way to reach more people and so they started a public Facebook group. Their main page has 7,500 likes, but their group has 89,764 members! Also, don’t be too promotional within the group. Nobody wants to be hassled by a salesperson. Always build relationships first and foremost! Use promotional posts sparingly—for information key to the group or for the biggest announcements or special deals. However, you want to ensure that you promote your group. There are many ways to do this, including pinning it to your menu, adding it to your email footer or website pages and mentioning it in a podcast. Lastly, you want to incorporate FB ads into your content marketing strategy. I have noticed that FB prioritizes ads in my feed these days. I have no idea why. More money for them I guess. But the point is that you should take advantage of FB ads for your small business. Check for the posts that receive the most engagement and boost them, so that they can reach a wider audience. This could mean using the ‘boost post’ function for Facebook marketing campaigns. But you may get better conversions if you create an ad using the same post —- taking advantage of Facebook ad targeting tools. Yup, that’s right. Start by posting organic content, observe which ones get the most engagement,, then take that content to a wider, paid audience. As a business owner, the success of your Facebook ad depends on the organic reach of your Facebook business page.